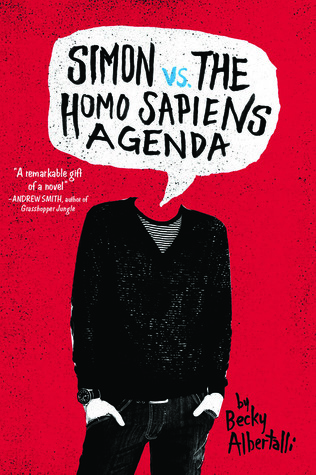 Synopsis: Sixteen-year-old and not-so-openly gay Simon Spier prefers to save his drama for the school musical. But when an email falls into the wrong hands, his secret is at risk of being thrust into the spotlight. Now Simon is actually being blackmailed: if he doesn’t play wingman for class clown Martin, his sexual identity will become everyone’s business. Worse, the privacy of Blue, the pen name of the boy he’s been emailing, will be compromised. I thought the book was okay. Quite honestly, I enjoyed the movie more, which I don't know if I had a bias because I watched the movie first or if the book just genuinely wasn't as good as the movie. I felt like the movie was more authentic than the book. Even though I graduated high school a few years ago, the memories and experiences are still pretty fresh. The book did not feel like it was coming from the POV of a teenager, which is understandable considering that it was written by a grown woman. For instance, in the book the gossip going on in the school is spread via a Tumblr and there is no way in hell that would actually be feasible. Tumblr is what the fangirls and hipsters use and is by now means the mainstream source of anything. I do appreciate that Blue and Simon's relationship was explored more in the book and that Blue handled the situation a lot differently than in the movie. As far as the characters, I enjoyed the characters in the movie version than the book 10 times over. They felt more annoying and self-absorbed in the books. Watching the movie, I felt like I could be any of the characters because they felt like real people. Overall, I enjoyed the book, but it definitely felt like a let-down after all of this time. Will I read the sequel, probably not.